Does anyone have good infos on the orchestra of the gross-parts kommandantur? Like how many musicians? What was the music regiment? Where were they playing? And a little picture of my collection. 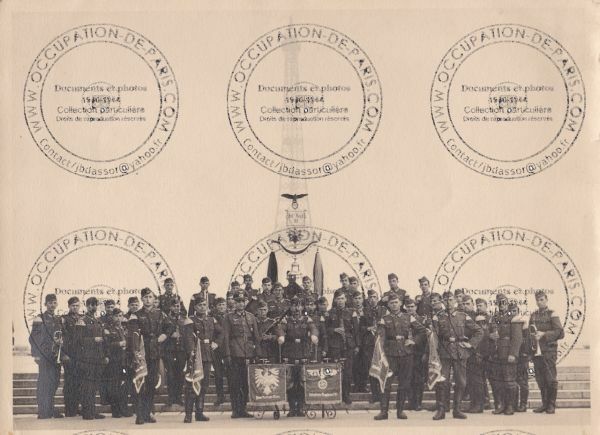 the music corps was transferred from Litzmannstadt ("Lodz") to Paris by marching orders on 2 or 3 July 1940,and was accommodated at the Hotel Bayard in the Rue de Conservatoire. Above all, the orchestra consisted of artists from the Ostmark (Austria) and Pommern (Pomerania) in northern germany, including well-known artists and later founding members of the Mozarteum in Salzburg. They all belonged to the "325. Sicherungs – Division und Feldgendarmerietruppe 564"
Stabsmusikmeister Ludwig Klemmberg directed the orchestra. 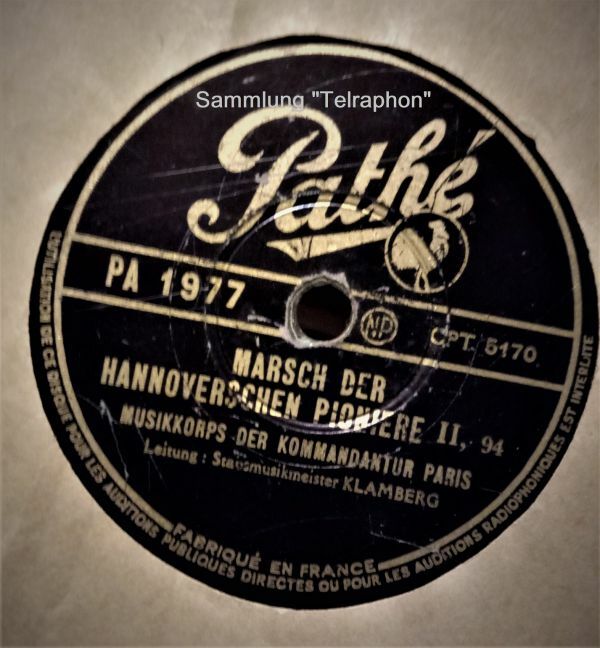 This orchestra was one of the best (if not the best) millitary orchestras in the Reich and recorded some records in Paris. 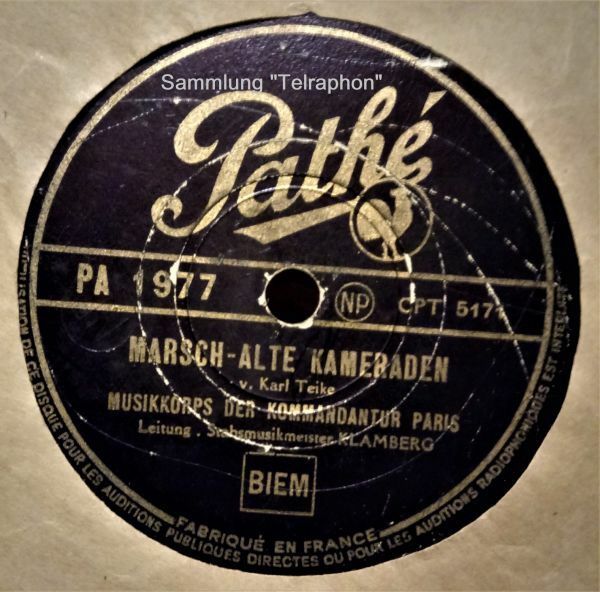 The Pathe records were probably intended mainly for members of the German troops. 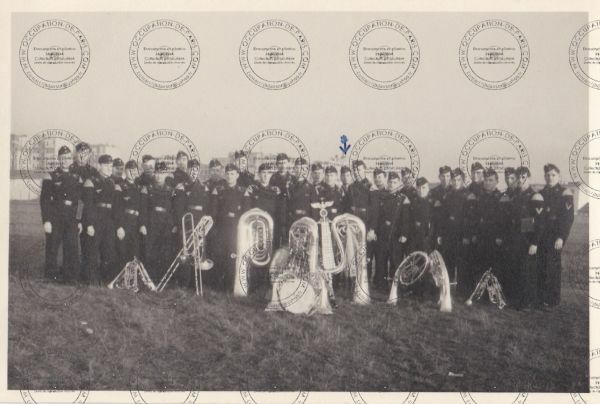 Edit: Your photo shows the Orchestra of the 81st Infantry Regiment Frankfurt am Main. I'm very happy about that because I did not know a picture of this orchestra so far! Thanks a lot! I do have other interrogations.. Why were they in Lotzdt before Paris? They belong to 325 sicherung-division and feldgendaremerie 564 but were they fighting soldiers as well as musicians? For what purpose were they used? when did they play? 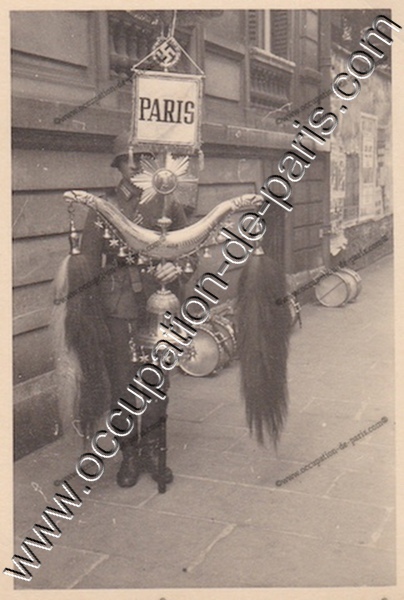 I am glad you like the picture, here is another one of the Musikorp der Panzer-brigade 100 in December 1941 in Paris. I apologize to the admin but the previous post didn't answer my questions..
And what about this one....?